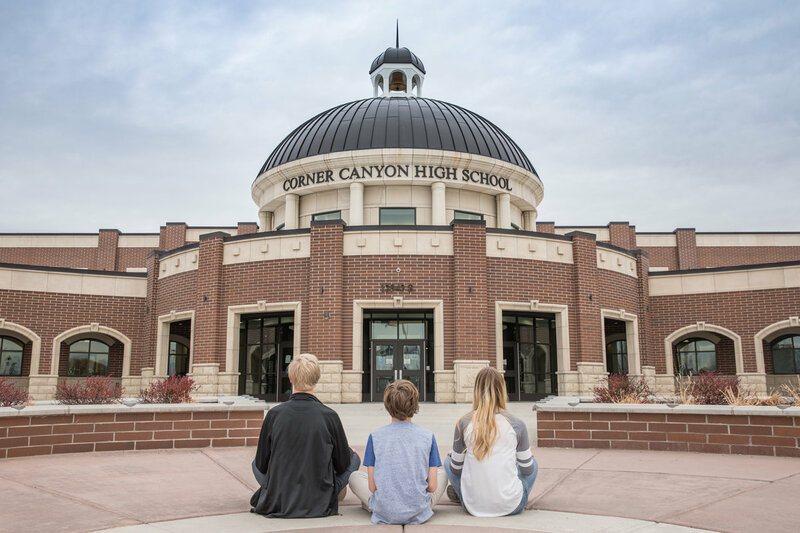 Corner Canyon High School senior Beck Seamons knows what it is like to be an overscheduled teen. 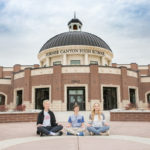 On top of school work, he’s one of the captains of the Corner Canyon mountain bike team, plays piano at The Roof Restaurant downtown, is on the Draper Mayor’s Youth Council and performs with an English handbell quartet. It might not come as a surprise that he was feeling overwhelmed. So, he did something about that. 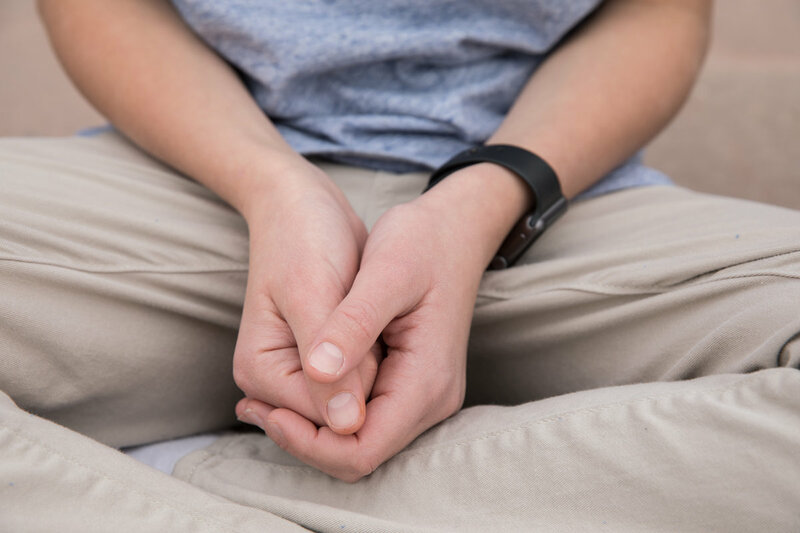 Beck’s life benefited from mindfulness meditation, a form of meditation that only requires one to sit, pay attention to the breath, and, when the mind wanders (as it will), return the attention to the breath. 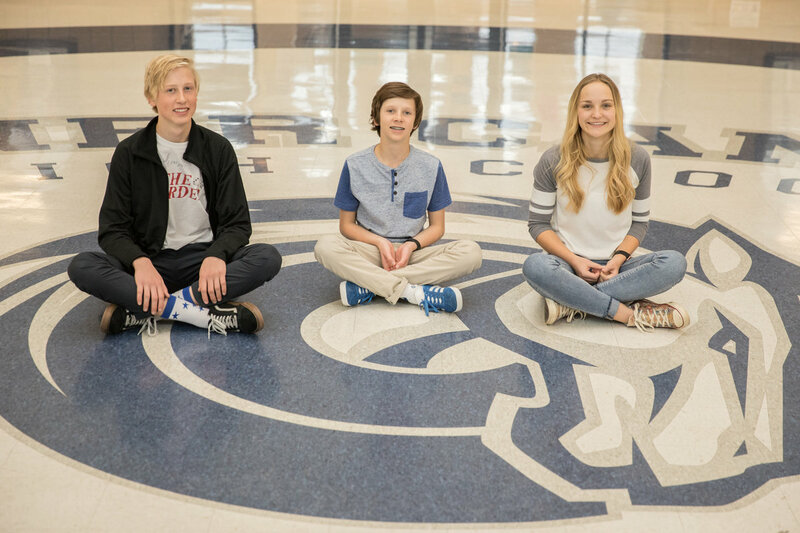 Beck, along with his brother Van and classmate Emmie McCormick have all used this to help find balance in their busy lives. 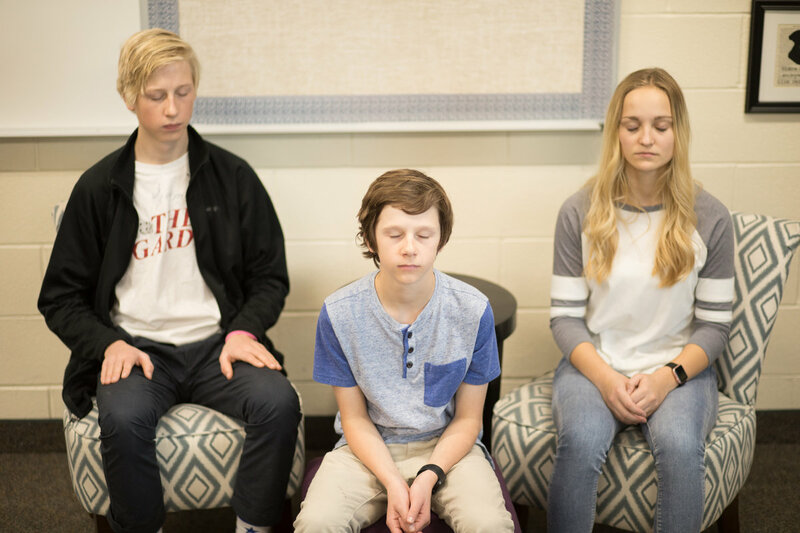 They recently started a free, after-school mindfulness meditation club with the hope other students will join and practice mindfulness meditation together on a regular basis. 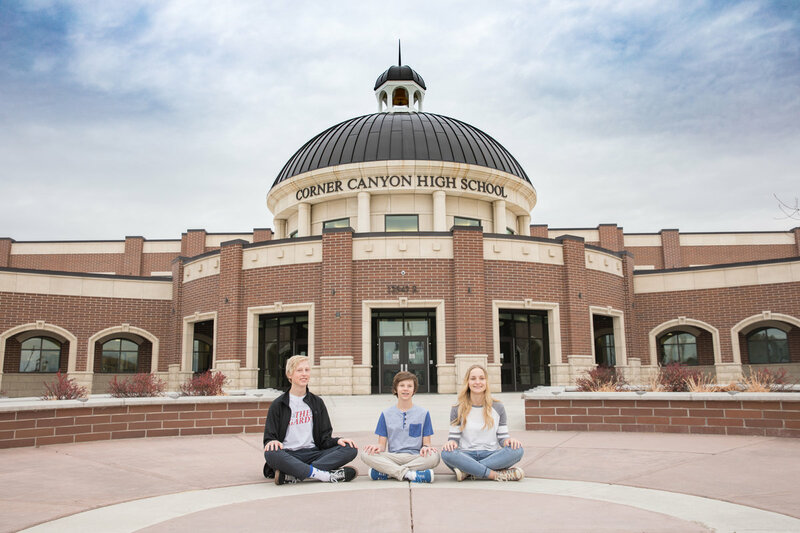 In addition to a guided group meditation at each meeting, the club features guest speakers and explores topics such as eating mindfully, gratitude journals, yoga and different meditation styles. Students can use the club as a base to develop their own practice. Beck tries to meditate daily and works to establish a regular time so he can “set the habit” more easily. The club helps that goal—bringing a positive spin on peer pressure—in that everyone practices together on a regular basis. 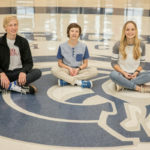 His brother, Van, a freshman, is also a busy student as well as an Eagle Scout, a pianist, member of the PTSA student club and Draper Mayor’s Youth Council, and plays on two basketball teams. Oftentimes he found that his mind wandered during class. With his mom’s encouragement, he tried meditating 20 minutes each morning using the app Headspace. McCormick also packs a lot into her day. She’s a member of the National Honors Society, PTSA and Peer Leadership Team, and works 30 hours a week at a pharmacy and takes a class to become a pharmacy tech. Her meditation practice keeps her focused. 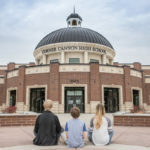 Corner Canyon High School’s Spanish teacher and soccer coach Andrew Van Wagenen attended the club’s first meeting in October both to support the students and to learn more about a practice that he says has had a major impact on his life. Everyone benefits from mindfulness, he says. The Seamons and McCormick said that the response to their club has been positive and that they’re considering a twice-monthly meeting. 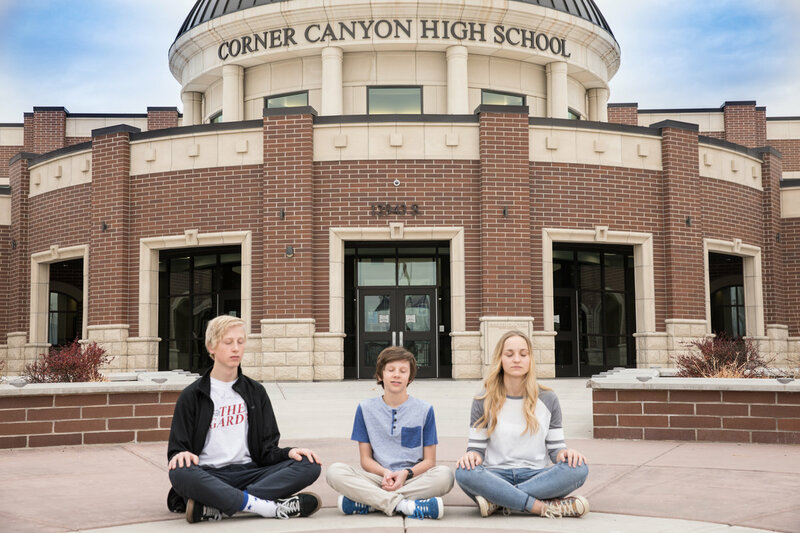 Students may have busy lives, but practicing mindfulness meditation lets them live that life with better awareness.